Sometimes it’s hard to understand. You hear terms like “access point,” “router,” cable modem,” and “repeater” and somehow you think you may even own some of this equipment, but it seems all messed up. There’s this thing in the house, and without it you can’t get Wi-Fi, but is a modem, a router, an access point, or what? The confusing answer is that it may be all of those things. Let’s break it down, starting with the connection that comes to your house from the outside world. If you’re like most people, you get your home internet from a company that also sells TV service, phone service, or both. They probably have attached a box to your outside wall. This box is called a network terminal and it does the hard work of translating the signal from your service provider’s wires into the wiring for your home. The service provider either uses high-bandwidth coaxial cable or fiber optic cable to come to your home, and neither of those really scale down to home use without something like a network terminal. For most people, that network terminal sends internet through a coaxial cable to a room in your house. The first step in getting you internet access in the home is often a cable modem. This is a device that takes in that coaxial cable and puts out an Ethernet cable. Now, it may do other things, but let’s not get ahead of ourselves. Let’s pretend for now that you have a bunch of separate boxes and each does one task. The cable modem does a lot of fancy stuff but it boils down to coax in, Ethernet out. The next step in our journey is the router. See, the cable modem gives you ONE connection but you have many devices in your home. In order for all of your devices to connect to a single Ethernet port, you need something that’s going to act as a traffic cop. When you ask for streaming video and someone else asks for a web page, the right information needs to go to the right device. The router handles all that. A switch handles the physical problems of going from one Ethernet cable to many. (Let’s not talk about wireless yet, that’s coming.) So, one Ethernet cable comes in, and many go out. This allows everyone to have a wired connection. The data travels through the switch and if you’re connecting to something like a printer, the switch helps it all go to the right place. If you’re connecting to the internet, the switch sends the request to the router and the router handles it. OK, you’ve been patient… here’s where the Wi-Fi happens. Most folks don’t connect things in their house over wires anymore, but the problem is that Wi-Fi isn’t just Wireless Ethernet. So, you need a device that builds and manages a Wi-Fi network. That’s called an access point, and it takes all the wireless network stuff and makes sense of it, sending information down the line to the wired network. OK, here’s where it gets confusing: you probably have one box, provided by your service provider, that’s a cable modem, router, switch, and access point all it one. It takes in a coaxial cable, has a few Ethernet ports, and it also handles the Wi-Fi. So it’s hard to know what to call the thing. Most people call it a router but you could call it any of those terms and you’d still be right. That’s not to say there aren’t standalone devices too. If you need to add more Wi-Fi coverage you might consider an access point, or if you need more wired ports you can add a switch. However, unless you’re running a big corporation, you generally don’t ever buy a router that doesn’t include a switch and an access point. Bonus: And then there’s a repeater. Wi-Fi repeaters, also called range extenders, are like access points. 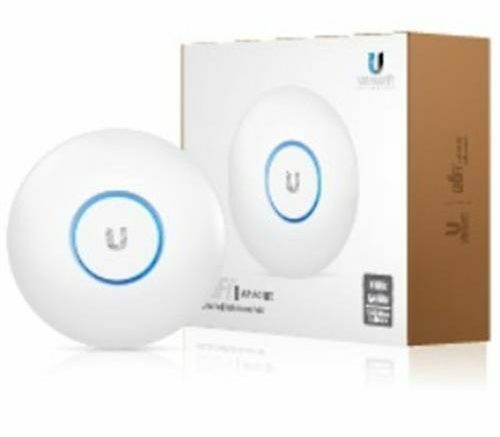 The difference is that while an access point connects to a wired network the range extender connects to a wireless network and creates a second wireless network. This makes it easy to add Wi-Fi to a remote room in your house without running cable to it. Range extenders tend to be cheaper and easier to install but also run slower than access points because they have to jump through two (or more) wireless networks in order to work.